Nokia updates Here Drive+ to allow turn-by-turn navigation for all Windows Phones, but installation issues prompt a hiatus. Apps that provide turn-by-turn navigation on Windows Phone are at a premium, literally, as virtually all require either an up-front payment or a subscription. Nokia's Here Drive+ app is set to change all that. 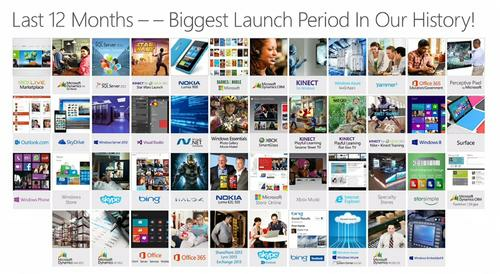 The app was set to go live this week in the Windows Phone Store. Unfortunately, installation issues caused Nokia's Here team to pull the app, which prevented users from obtaining it. Nokia, which has been a close partner of Microsoft in the Windows Phone market, launched the Here platform late last year, with mapping and satellite data, 75 million searchable points of interest, car and foot navigation data, and public transport information. Nokia also updated its separate Here Transit app on Wednesday, freeing it from Nokia phones and putting it onto the Windows Phone ecosystem at large. So far, Windows Phone has a dearth of good navigation apps. 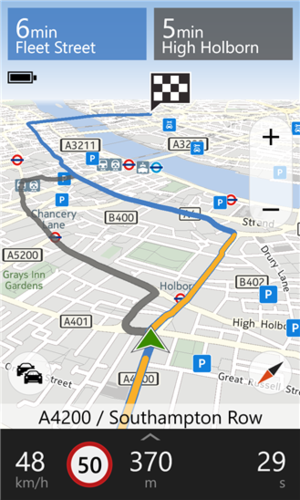 Microsoft's own Maps app will provide Windows Phone users with a list of directions, but not true navigation. Google Maps simply shows you your location on a map, and allows you to search for nearby locations, along with information like store hours. And apps like Scout by T-Mobile, a true navigation app, require a monthly subscription. Even apps like Inrix Traffic simply show, well, local traffic. What Nokia calls the Here Drive+ app is an upgrade to the basic Here Drive app. The key feature is what Nokia calls My Commute, which adapts itself to your commute and provides recommendations based on current traffic conditions. On the surface, it's difficult to see this being significantly different than apps that ask for your home and work addresses, then calculate the time and distance between them. A live tile for Nokia Here Drive+, showing the estimated time of your commute. Nokia's Here Drive+ also allows users to download local maps for offline use, a handy feature if you have a T-Mobile phone with spotty coverage, or plan a trip to the mountains or other rural areas. Traditionally, Nokia's basic Here Drive app has offered free local navigation, a tradition that appears to continue with the Drive+ upgrade--although we can't confirm that until we actually download the app for ourselves. Otherwise, Nokia will charge 15.49 euros (yes, euros even in the States - that equals $19.92) for a global navigation license. Note that if you own a Nokia 928, 925, 920, 822, 820, 810 and 620, Drive+ will not only be available for free, it also will come preinstalled on new phones. Here Drive+ may not end up the as the best navigation solution in the long run, but it looks like it could be the Google Maps Navigation for Windows Phone in the meantime. When the Here team straightens out its installation issues, that is.